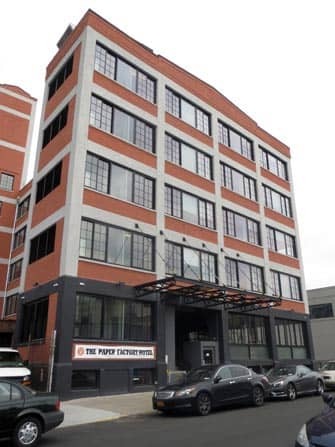 The Paper Factory Hotel in New York is located in Long Island City. The hotel is indeed not located in Manhattan, but I can give you three reasons that might change your mind. First: the rooms here are relatively cheap compared to Manhattan. Second: Long Island City is very up and coming. And third: it will take you just fifteen minutes to get to Manhattan – a two minute walk to the metro station, followed by three stops with line M or R. Because of the great connection, quite a few places in Manhattan are actually quicker to get to from this paper-factory-turned-hotel than from Upper East Side or Upper West Side! 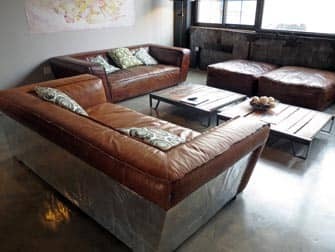 The spacious rooms in The Paper Factory breathe a typical New York vibe, with their brick walls, big industrial windows and Kilim rugs on the concrete and wooden floors. 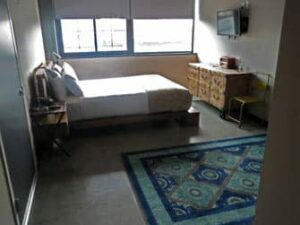 The style is industrial yet cosy; comparable to the well-known Ace Hotels. Original factory equipment and machines that survived the renovation can be found throughout the entire building. The idea is to keep the history and stories of the factory alive. The hotel has 122 rooms, that are all provided with flatscreen HD-TVs. A booking includes continental breakfast, as well as quick and reliable wireless internet. 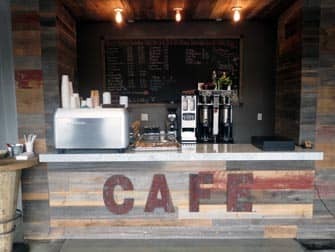 The lobby has a coffee stand where good cheap coffee is served. I paid only $2 for a large latte. Another interesting thing for those on a smaller budget: this hotel has a communal kitchen, which could keep your expenses in check. 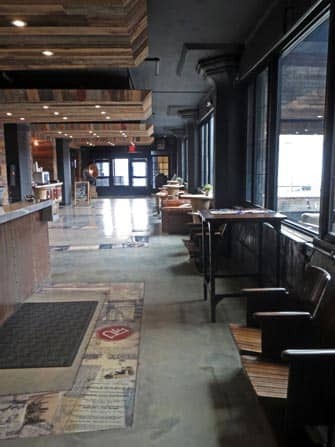 And as if this isn’t enough, in the near future there will be even more reasons to stay at The Paper Factory, a restaurant, beer garden and spa are all in the works. Besides all of this: the staff at this hotel is very friendly. I experienced this in person and they indeed are truly kind and helpful. Eric’s Tip: Every second Sunday of the month, The Paper Factory organises and hosts the OpenCanvas event. OpenCanvas brings artists from different disciplines together to work on an inspiring project. Extra bonus: as a guest of the hotel you can join in these projects too!